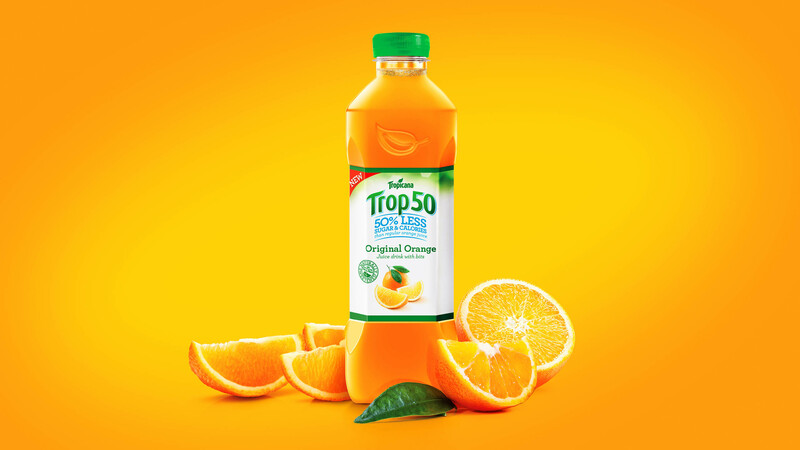 We created this premium Tropicana drink to appeal to those looking to reduce their sugar intake. It just goes to show that sometimes less is more! 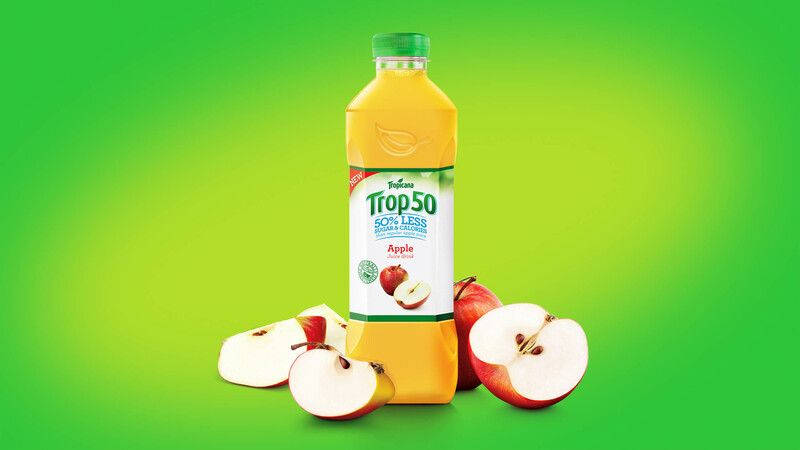 After undertaking the massive global success of the Tropicana Masterbrand, we were tasked with creating a new addition to the portfolio… a naturally sweetened, lower calorie offering, which used the Stevia plant as opposed to artificial sweeteners as a sugar replacement… cue Trop50. We created the sub-brand alongside an instantly recognisable, consistent architecture to aid segmentation and ease of shop. 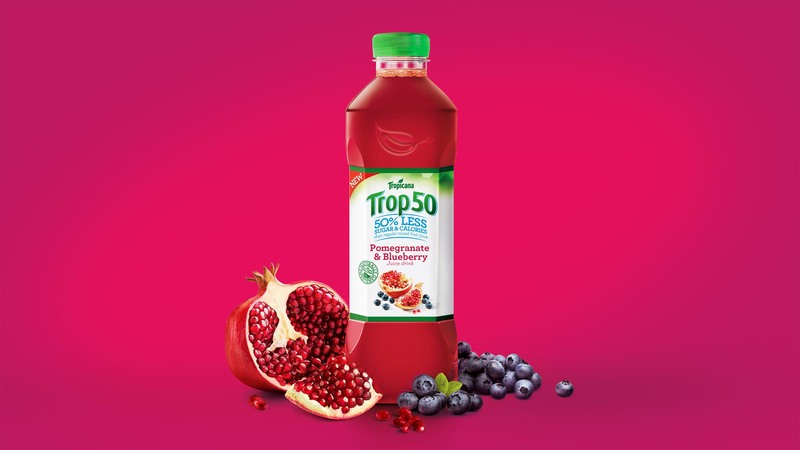 We immersed ourselves within the ever changing drinks category, by understanding the new opportunity natural sweetness could have to the consumer. 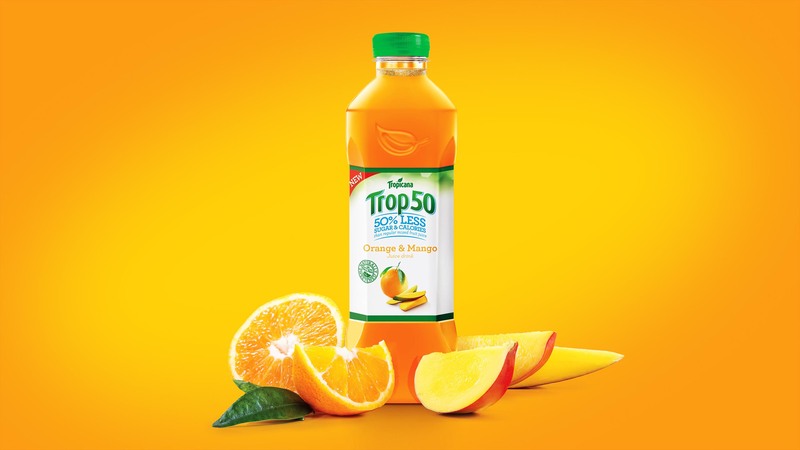 Using our customer insights we were able to translate these benefits into an informative and impactful new sub-brand that was sympathetic to the brand values of the Tropicana brand and the challenges of the consumer. A sympathetic approach to the Tropicana masterbrand that allowed Tropicana to have a credible alternative to an already sweet category. Have you got the Gene? Unilever wanted to launch a new campaign to reignite the Marmite brand, so we collaborated with another Omnicom agency Adam & Eve on the ‘Marmite Gene’ campaign which sought to demonstrate if there was any scientific evidence behind why people loved or hated Marmite. Our role was to communicate the science behind the Gene project in a uniquely Marmite way, whilst providing assets which could be used by multiple partner agencies. We created the central graphical assets of the ‘Helix’ and iconic ‘Gene Pattern’. We created a design toolkit containing a number of design assets that were used across various brand activation touch points including packaging, direct mail, PR influencer presentation boxes and assets for use on the digital platform. Marmite saw an 11% sales uplift on the back of the Gene campaign. OurCreative. impressive right from the start and really understood the brief on this project. We worked collaboratively all through the project and I was impressed with how the team managed to meet our tight deadlines. The packaging across the three tiers looks fantastic and it’s easy for customers to understand and shop. I am looking forward to working with OurCreative. again in the future and want to say thank you for all their hard work on George Home. We are immensely proud of what we have achieved! OurCreative. have been brilliant from the off. They’ve been the key to us creating a design we couldn’t be more proud of, and at the same time have been on hand to guide us on areas we were completely new to - from IP to print finishes, and everything in between. We wouldn’t be in the position we are now without them! Since OurCreative. were appointed, they quickly got under the skin of the business, brands and category. Briefs are not just met but provoke strong debates and push our boundaries to get the best outcome. It’s a testament to how effective and easy it is to work with OurCreative. that from the initial product have come many others. Creative, resilient and most importantly, fast! Working in a fast pace, everchanging industry, you need an agency by your side that can understand and cope with it all to help you reach that brilliant, winning idea! A fun and hard working team that you definitely want in your corner! Naming / Tone of Voice. ©2018 OurCreative Collective Ltd. All rights reserved.